With Solid, the hi-tech quality of Renner Italia laboratories is delivered to tilers. Renner Italia’s research and development department hosts 40 of the best researchers of the world. The department is specialised in the decoration and protection of any type of wood, in any exposure condition and to answer to any performance or aesthetic need. Every day, our chemists study and experiment innovative products, especially in the complex and problematic field of water-based coatings and UV drying coatings. Renner Italia’s chemists constantly collaborate with the technicians of painting; in this way they are able to satisfy the client with products that surpass the client’s expectations. Renner Italia’s researchers have always made meticulous and rigid studies. Every coating is analysed, tested and produced to pursue a great aim: to fix the beauty of our wood coatings over the time. For these reasons, our products express aesthetics, durability and respect for the environment. Renner Italia offers 5 big ranges of wood coatings, in order to satisfy the end user needs. Water-based coatings for parquet Solid created for the tilers (for new wood floors or in need of restoration wood floors). Water-based fire-retardant coatings Firewall: fire-retardant coatings that guarantee safety and aesthetics. Water-based coatings Aquaris for artisans and the industry (for interior and exterior wood). Solvent-based coatings Synthesis for professionals and the industry (for interior and exterior wood). Rio Verde coatings: this is a range for the end user and the artisan. These products are both professional and easy to use. Water-based and solvent-based colorants, for specific or general use. Water-based and solvent-based additive and complementary products. PU, polyester, nitro and synthetic thinners. Renner Italia guarantees the production of any enamel in any colour with Color System, an analogical and digital tintometric system for water and solvent-based painting. 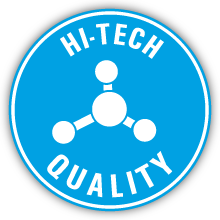 Thanks to the hi-tech quality of its products, Renner Italia has become a centre of excellence in the Made in Italy chemistry, and it is well-known all over the world.